On April 5, 1990, seven distinguished journalists became charter members of the NABJ Hall of Fame. Over the last 23 years, NABJ has inducted 56 journalists into the esteemed Hall of Fame. Herb Boyd has authored or edited 22 books, including the recent Civil Rights: Yesterday & Today. His book Baldwin's Harlem was finalist for a 2009 NAACP Image Award. In 1995, with Robert Allen, he received an American Book Award for Brotherman--The Odyssey of Black Men in America. Maureen Bunyan is a veteran television news broadcaster and a primary anchor for ABC 7 in Washington, DC. Named a "Washingtonian of the Year" in 1992, Ms. Bunyan has an extensive record of service to the community. Between 1975 and 1982, Jay Harris was on the faculty of the Medill School of Journalism at Northwestern University and served as assistant dean of the school. In 1978, he designed and launched the American Society of Newspaper Editors' annual national census of minority employment in daily newspapers. Moses Newson risked his life covering some of the most notable events of the civil rights movement, including the funeral of George Lee, the Emmett Till murder trial, school desegregation in Little Rock and the 1961 Freedom Rides, where his bus was attacked in Anniston, Alabama. Bernard Shaw began his career in Chicago at WNUS TV, then later joined CBS News and ABC news, becoming its Capitol Hill Senior Correspondent. Shaw retired from CNN in 2001 after being the face of the cable network since its inception in 1980. During that time, Shaw commanded the anchor desk and boldly steered the national conversation even when taking on positions of adversity. Jackie Ormes (1911-1985, née Zelda Mavin Jackson) was the first African American woman newspaper cartoonist. She pushed the art of the newspaper cartoon and comic strip in a new direction with her smart, beautiful, handsome, and fashionable Black characters that challenged the stereotypes and caricatures in the mainstream press. Ernest Dunbar was a globetrotting journalist who made his mark as the first black reporter at Look magazine in 1954. A native of Philadelphia, Mr. Dunbar earned a B.A. in journalism from Temple University in 1954, where he was editor of the university newspaper. He did graduate work in journalism at Northwestern University, and was awarded an honorary doctorate in journalism from Temple in 1971. Dr. Lee Thornton received a master’s degree in rhetoric and public address from Michigan State University in 1968 and a doctorate in radio, television and film studies from Northwestern University in 1973. 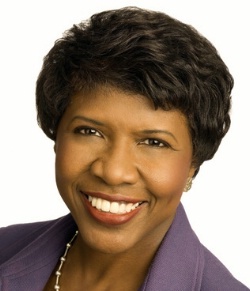 She joined CBS News in 1974 and, from 1977 to 1981, covered the Carter White House. In 1977, Lee Thornton became the first black woman to cover the White House regularly for CBS. She worked for the CBS affiliate in Detroit before joining National Public Radio’s "All Things Considered” program in 1982 as a weekend host. Simeon Booker made history as the first African-American staff reporter at The Washington Post after having completed a Nieman Fellowship at Harvard University. Booker who began his career at The Afro-American Newspapers would become best known for his incisive coverage of the civil rights movement for Jet Magazine. An award-winning author, producer, public speaker and former deputy bureau chief for Time Magazine. Moderator and managing editor of "Washington Week" and senior correspondent for the "PBS NewsHour." She is also the best-selling author of "The Breakthrough: Politics and Race in the Age of Obama." A sixteen-time Emmy award-winning broadcast journalist who co-anchors CBS2 (Los Angeles) 5 and 11 pm broadcasts. Started up the NBC affiliate news department in Tyler, TX. After two decades in the broadcasting industry, sought to transform the conditions in Houston, TX that she had covered for so long as a journalist. Former TV One President and CEO who under his leadership, the network, which serves nearly 53 million adults, has become recognized as the quality programming for African-Americans. 30 year veteran of Chicago broadcasting and former evening anchor for Chicago’s WGN-TV. One of Washington DC’s most respected broadcasters whose Emmy award winning career has included more than 36 years as an anchor and reporter at WUSA Channel 9. Pulitzer Prize winner who served as the Associate Editor and twice-weekly columnist for the Washington Post. Veteran radio journalist who's career spans almost 25 years for San Francisco’s "The Early Show" on KGO NEWSTALK AM 810.